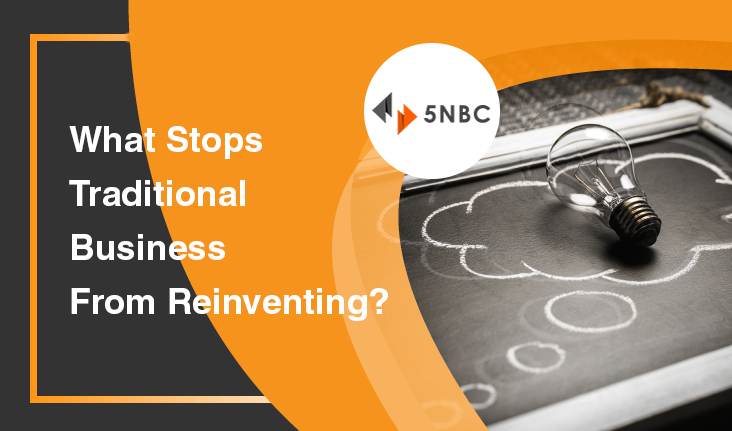 Traditional business across industries faces this problem of re inventing over period of time and hence loses out the race to new companies, which constantly focus on reinventing and pushing themselves. The major problems in traditional business is the head of helm of affairs is always one person or one family which is happy the way business has grown and keeps a close mind set thinking no other company can map it and will not grow beyond its companies. The comfort zone is one of the major components for traditional business to re invent, as they feel they are in control and with changes happening in technology, business models, marketing strategies is often over looked saying we don’t need them we can grow without it. The diversification of business is never thought of as the current business takes all the time of head of business as he is engulfed in all the work as there is no process for decision-making or ability to think of why these changes are necessary. The head of business feels he is controlling and wants it the way he likes. The way forward, why should I diversify or why the change is required is questioned rather than why aren’t we changing. Centralization for every aspect is the key element which prevents traditional business re inventing as the whole company works on one man’s vision rather than having constructive vision based on process. Employees of such companies are also responsible as they don’t want to highlight the changes and new plans as they are happy keeping the boss or the head of the family and taking good benefits from him as they align there views with him. No employee wants to show the mirror to his or her boss that the need of the hour is change. They feel they will enter bad books of the boss by doing so.